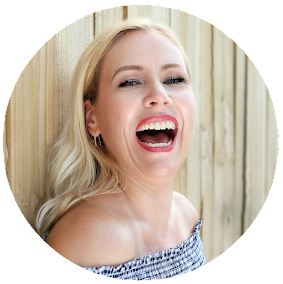 I am nominated from my new crazy and beautiful friend over at THE MAKEUP SQUID for The Versatile Blogger Award. Thank you for nominating me! Be sure to check out her blog and her videos too, cause they are really awesome! 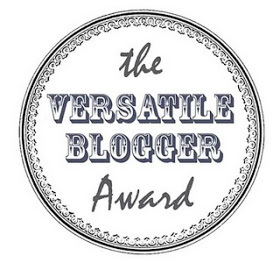 How It Works: -Display the Award Certificate on your blog. -Announce your win and thank the blogger who nominated you. -Present 15 deserving bloggers with the award. -Link your nominees in this post and let them know of their nomination with a comment. 1. I moved 7 years ago with husband and son from Germany to Florida. 2. With 4 years I had an accident and my finger was completely off but they were able to fix it. 3. I have had eye surgery with 6 to fix my cross eyed vision. 4. Starting with 8 I collected everything from Marilyn Monroe and I am still a fan. 5. 10 minutes before my wedding the shoulder straps of my dress broke! 6. I have seen my father the last time when I was 10. Don´t feel sorry because I do not miss him! 7. I have a 1 year older sister in Germany but we did not grow up together and barely see each other. Wow, that was kinda intimate! Thank you for reading this!